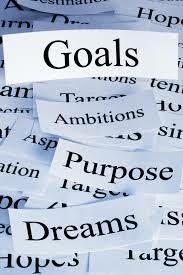 ambitions aspirations dreams execution goals love-relationship success vision Dreams, Ambitions, Aspirations and Goals! Sometimes when I introspect about my life,I realize that life has taken me from nowhere to somewhere. As I glance behind the good old days, it seems that life has taught me great valuable lessons. Few of them have changed my life upside down. At a tender age, when someone asks you about your aspirations and ambitions, you often hesitated because at that age we never really knew our path forward! We simply used to get blinded by seeing others. We never knew the real definition and meaning of aspirations and ambitions. Goals to us were only a part of a game. Those terms were Greek and Latin to us. But as we grow up we realize the importance of those terms. A proper career plan is essential for a better life in future. Its a blue print that would take you to zenith! Some of us here do realize the importance of their role in the family. Very often I have come across young school going boys who work in restaurants and support their education. Why? That's because of their thirst and hunger for excellence. I appreciate the students who rank high in the state board exams. It's their hard work and dedication in life. Never forget the important D's of life - Dedication , Determination, Diligence and Discipline. You have to have that dedication factor in life which will keep you motivated. You need to be determined and your focus should be set on your goals. The amount of hard work and efforts that you put into any thing counts, thus Diligence! Discipline is the key to success. 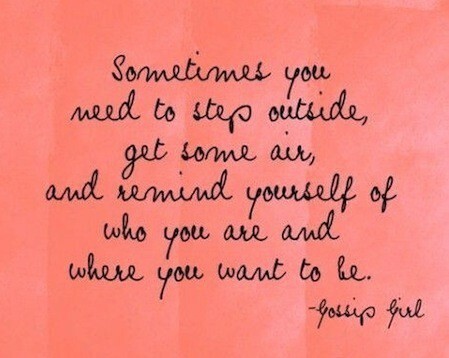 Such things need to be imprinted inside your brain. Always remember that there are two ways of living life - live life without purpose and live life with purpose. Which breed do you belong to? Everyone who steps into this world has some purpose. I have been telling time and again that its okay to dream. Dreams are like a requirement document in the IT world. If it is incorrectly done then the final plan may shatter. It's completely fine to dream but this dream should be executed. It's not okay to dream and keep dreaming if you don't execute it. APJ Abdul Kalam once said that dreams are not the one's that you see while you are asleep , in fact they are the one that won't let you sleep. If you want to be a successful person, you need to implement and execute your dreams correctly. Look ahead in life. Feed forward and learn from the mistakes that you have committed. It's okay to fall but try to get up by your own. In life, people will be with you only for a while. They won't help you every time you fall down. Learn to rise from your mistakes. For committing mistakes once or twice is fine, but it shouldn't be a daily routine. Remember that no one wants to be a loser and this is a word too strong and powerful! This life that we live is the greatest puzzle. We have to solve it and decode it in order to excel in life. And to do so , one has to go extra miles! You are one of the millions who get to see the light of the world. Shouldn't you use your opportunities wisely? There is a fine line between achievers and doers. Doers keep doing until they transform into achievers. Your life becomes meaningful only when the purpose of your life is completed! Again there are two ways of living life - life should be lived 'like' this and life should be lived like 'anyhow'. My mother always used to say all these. We all get one life to live and always remember that we have to prove ourselves in this short duration of time. Such is the dilemma called life! Set your focus on your dreams, ambitions , aspirations and goals. They all have similar meanings but most important thing is that you know the meaning. But for that you got to know the purpose of your life. Know that all those who achieved in their life have struggled at their young ages. Never deviate from your goals. A train reaches its destination only when its on track. If it derails then it would cause hurt to many. You have to be a sagacious soul. I endorse the concept of YOLO - you live your life only once! But my version of YOLO is different. Yes, we all live our life only once and let's make it meaningful so that it leaves a huge positive impact on our life. Know the important words - aspirations, ambitions, dreams and goals! Let's make our life meaningful! Note - All Images have been taken from Google Images!